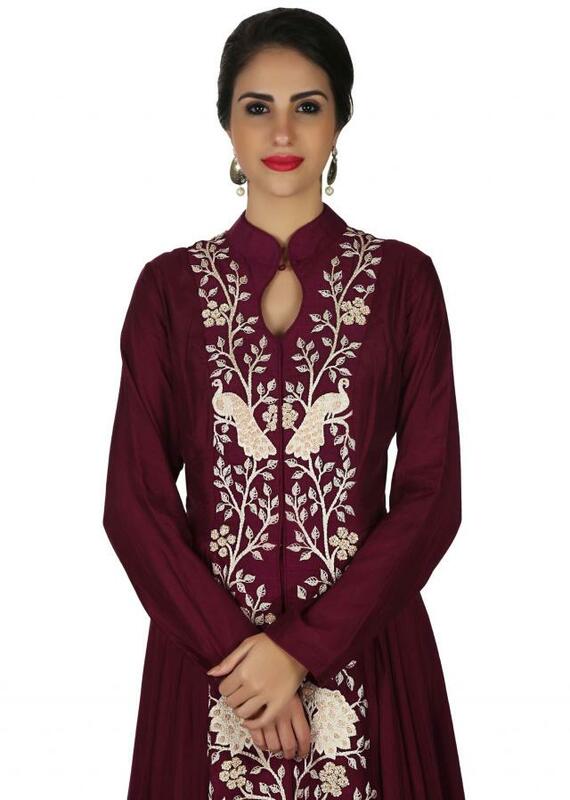 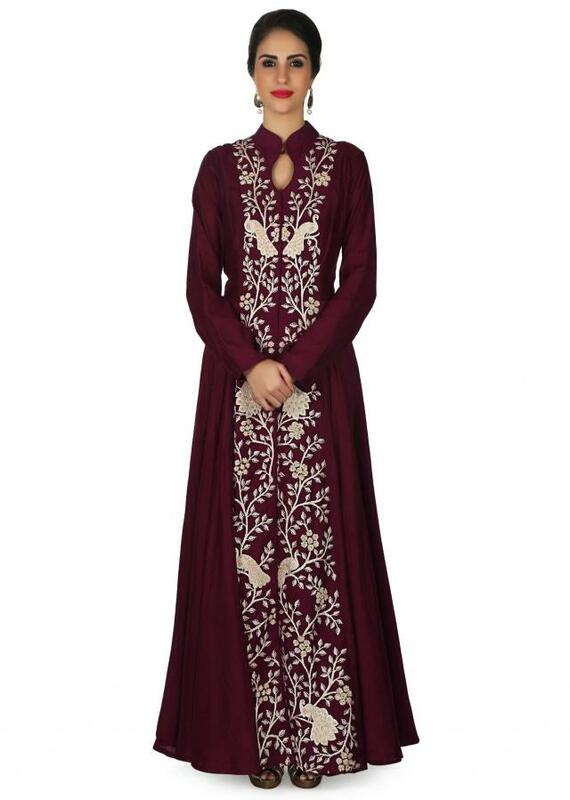 Burgundy anarkali dress featuring in cotton silk. 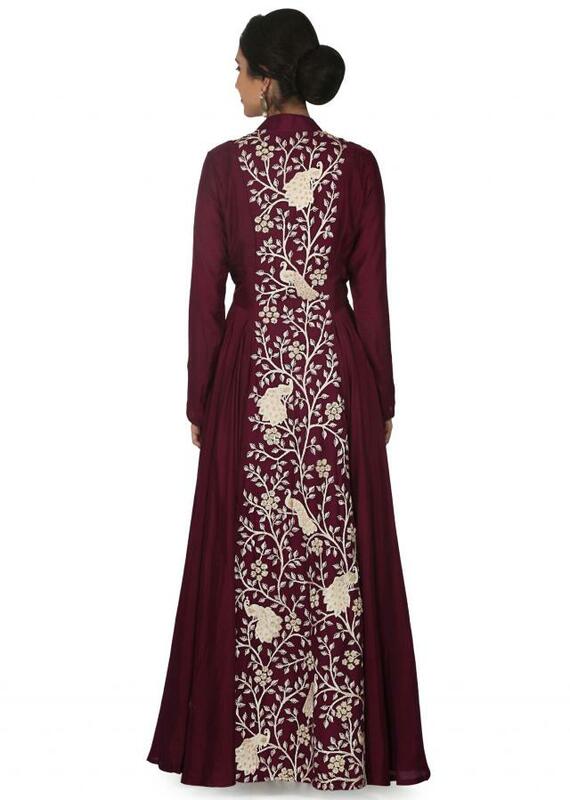 Its center panel is embellished in thread embroidery in peacock motif. It comes with key hole neckline and full sleeve.